The new updated firmware for Android 6.0 SMARTY Trend head units has been released. The New firmware has been released! The SMARTY Trend development team always improves their firmware to make head units better for their customers. We have prepared some information about new parts of our updated firmware (Bluetooth Hands-Free, Auto start apps, Root …, etc.) for Android 6.0 SMARTY Trend head units. 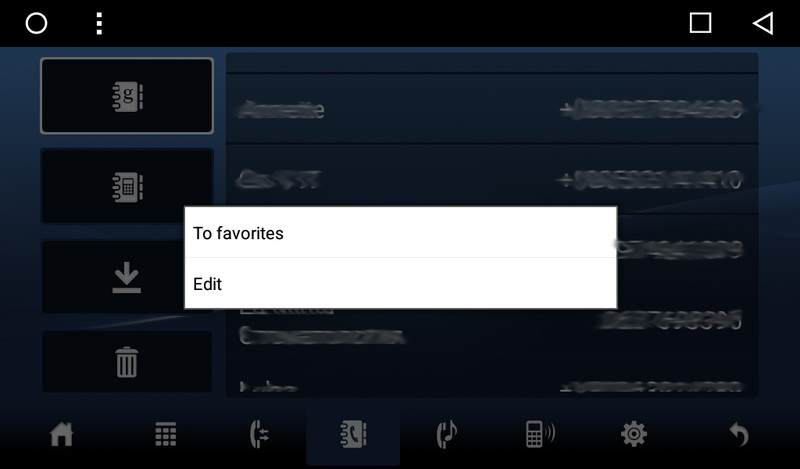 New firmware includes new applications: Bluetooth (phone), Favorites contacts, Google contacts and Google sync. 1. Make phone calls by voice. 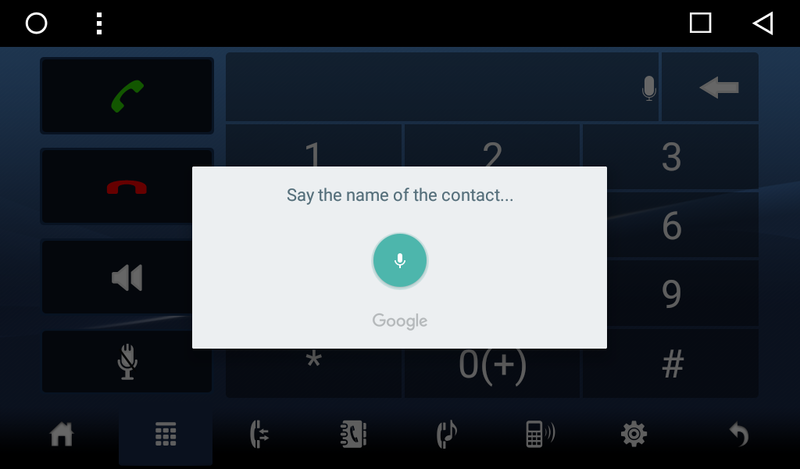 You will find below the guide how to use Bluetooth application to make phone calls by voice, using Google search, Google contacts applications and voice button on your steering wheel. 1. 1. 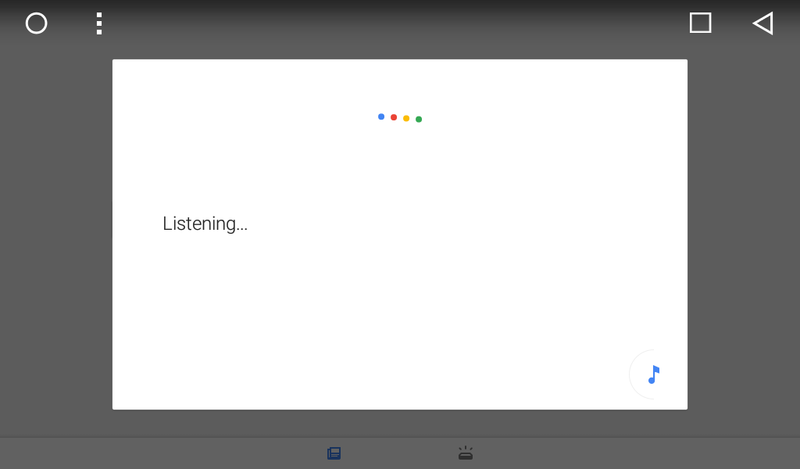 Installing the Google Voice Search application. 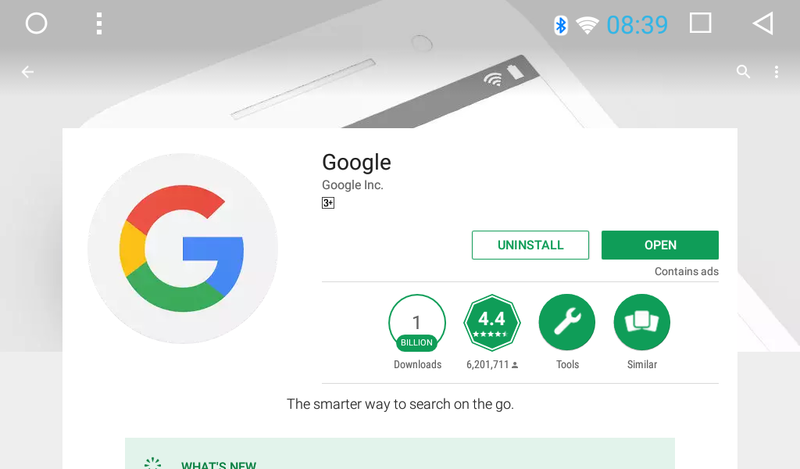 Login to Play Store and install Google (Google Ok, Google Search). You will need this app to make calls with help of your voice. 1.2. 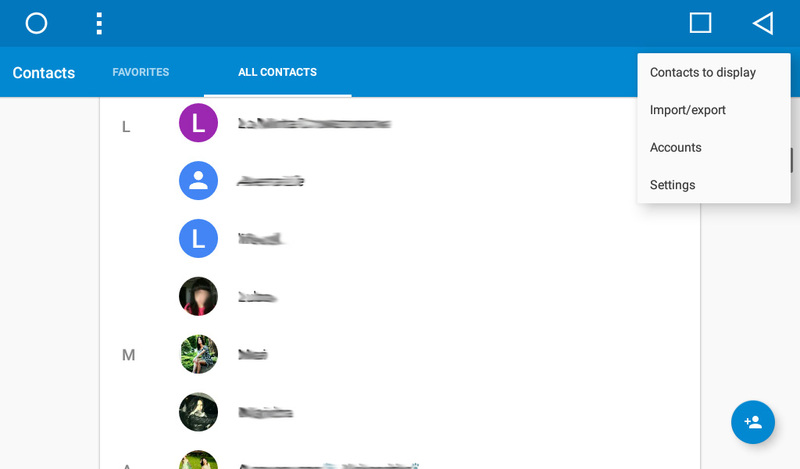 Synchronizing your contacts with Google contacts application. 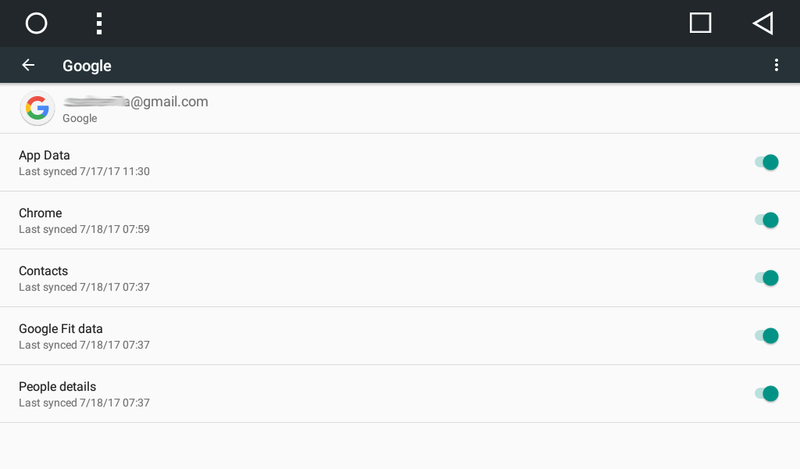 To synchronize your contacts with Google account go to Settings -> Accounts -> Google -> Contacts. 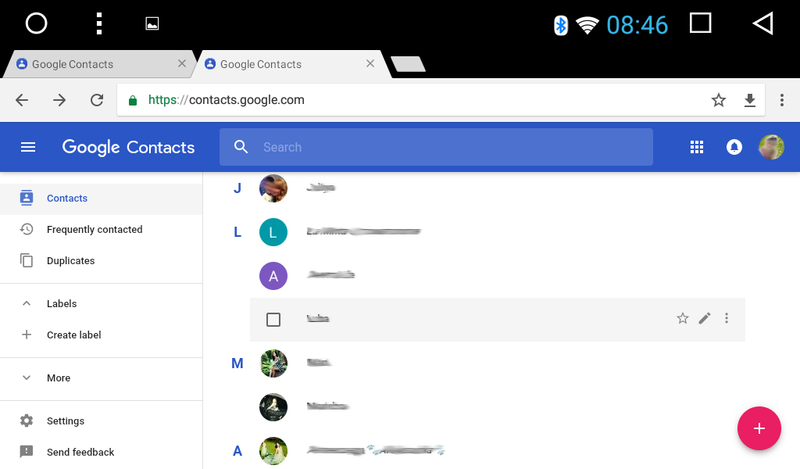 Now your contacts should appear in Google contacts application in the head unit (Applications -> Contacts). 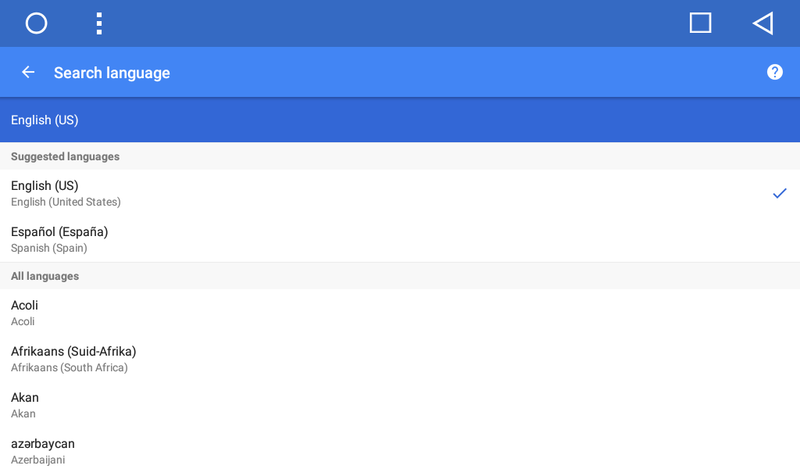 - You can do this in the settings of your Google account (https://contacts.google.com/). If your phone contacts are synced with Google account, then all changes you made will automatically be applied to the Contacts on your head unit. The Contacts application on the SMARTY Trend head units is the only gateway to make your contacts visible in the Bluetooth application. 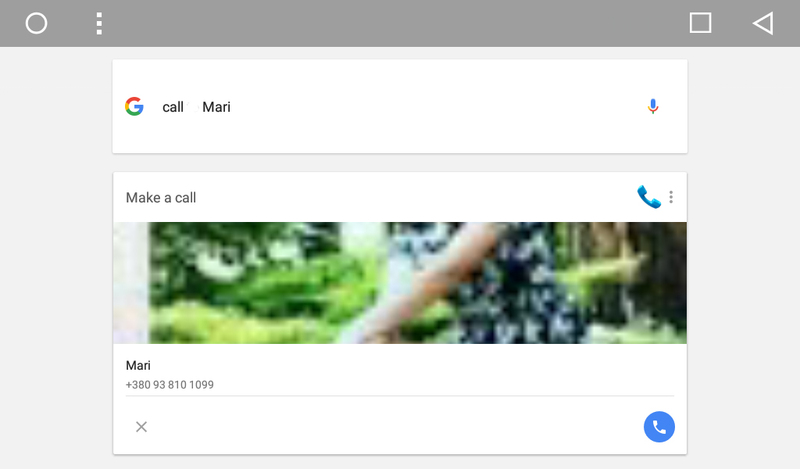 Here you can edit your contacts but you cannot make calls directly from Google contacts application, therefore widgets (quick call) for this application are not functional. You could make calls directly from application Favorites which will be described in this article below. 1.3. 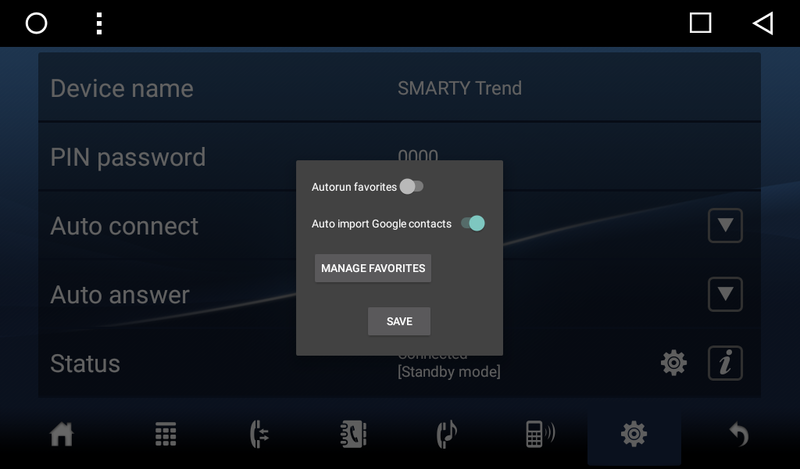 Connecting your mobile phone to the SMARTY Trend head unit and synchronizing the Bluetooth app (Phone) with Google contacts. - Turn on Bluetooth on your phone and make it visible for other devices. - Run Bluetooth application, press on Phone icon and press on the Search button, the head unit will search for Bluetooth devices. Once you see the name of your phone, press the Search button again, it will stop searching. - Tap on the name of your phone, then you will see the confirmation message on your phone for connecting with the head unit. Enter pin-code (0000 or 1234 by default) and press OK. Now your head unit and the phone are connected. 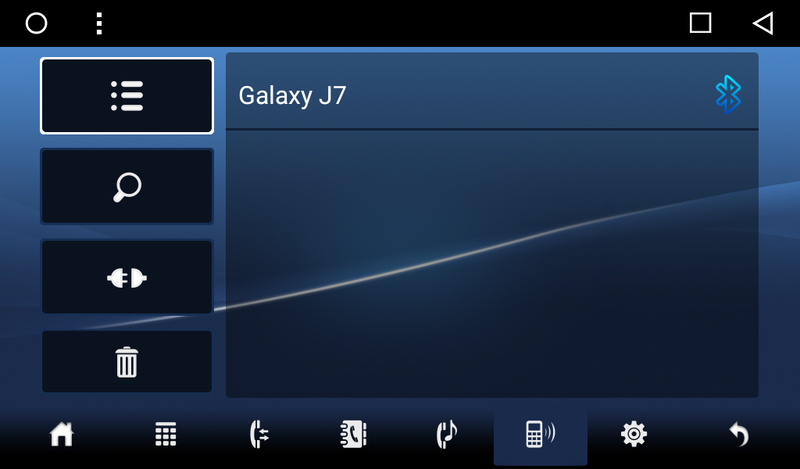 On the head unit screen, you will see Bluetooth icon next to the name of your phone, it means the phone is successfully connected. 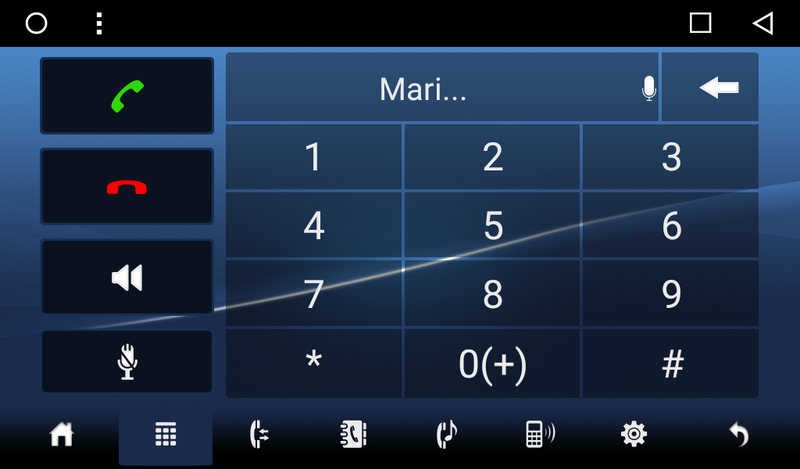 - Now all icons (dial pad, calls, phonebook, music player) in the Bluetooth application are active. Go to the Phonebook and check your contacts, they should be visible. 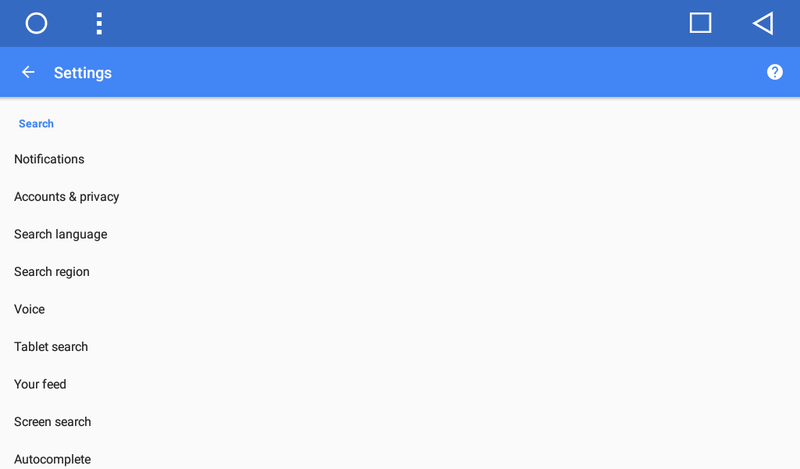 In the settings menu of Bluetooth application (settings icon in the Status field) the “Auto import Google contacts” must be set to on. If your contacts were not uploaded to Phonebook, reboot the device and check again. After that, all your Google contacts should appear in the Phonebook. You will not able to open Phonebook till all your Google contacts are uploaded (you will see the progress of uploading). To make the search in your contacts tap on Google icon phone book, you will see the search field. 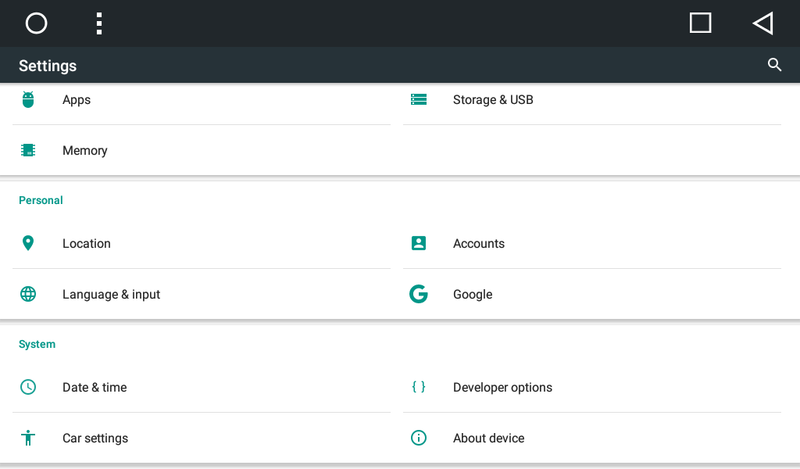 You also have an additional option to download all your contacts from phone to head unit through the Bluetooth (Phone book and Download icons), but using Google contacts is the more reliable option. 1.4. Adding your contacts to Favorites. - To favorite. Tap on this item, you will see the window with 8 cells, then tap on cell and your contact will be added to favorite. To make a call to favorite contact you need to open the application Favorites in the application menu. Then select your favorite contact - a call to this contact will be activated. To have quick access to this application you can place it on the home screen. 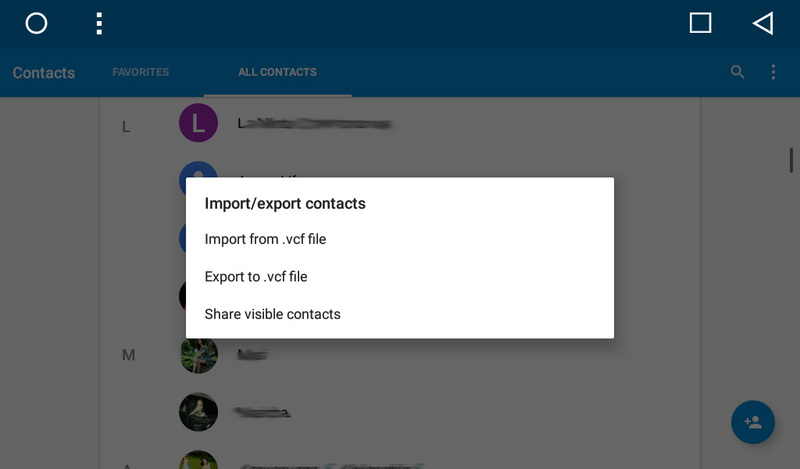 - Edit - the Google contacts application will be opened to editing information about contacts. 1.5. Making calls with your voice. 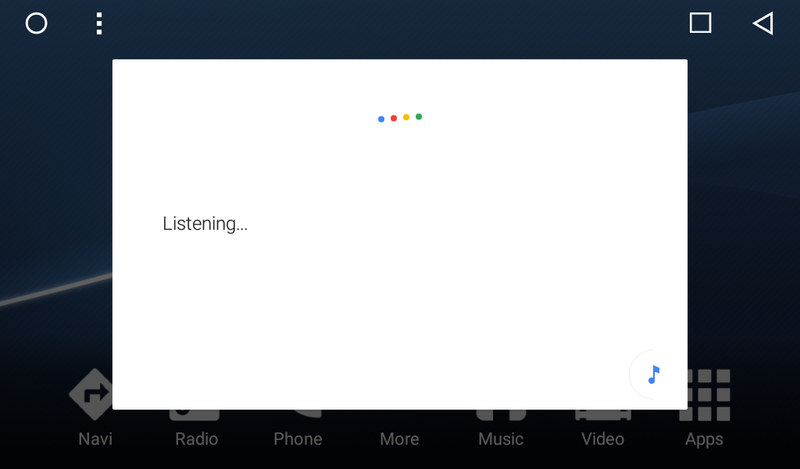 - First of all, open Google search application (Ok Google) and tap on the Voice icon, it will ask for permission to allow Google to record the audio, press allow. 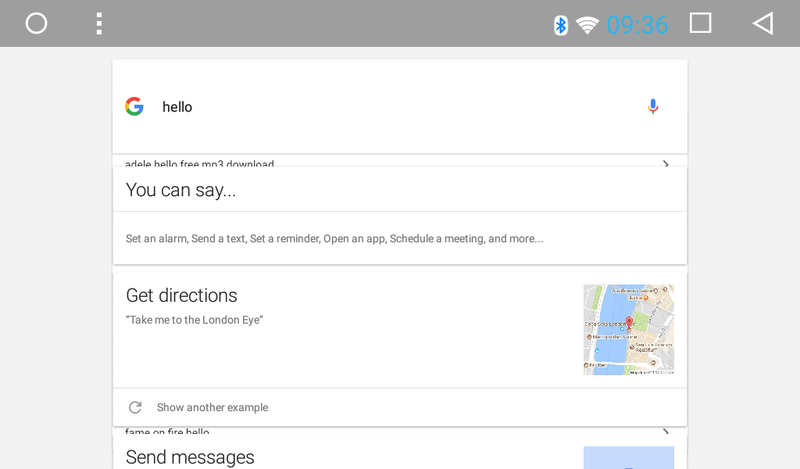 Then you will be able to make the voice search or tell voice command to Google Search application. If the Google search application did not ask the permission, you need to clean the cash of that application. To make your search correct you should add your language - press menu icon (in the left corner) -> Settings -> Search language. - Open Bluetooth application and tap on the Dial pad icon. You will see dial pad and Voice icon on the phone number field. Press on the Voice Search icon, the voice search will start; say a name of a contact. 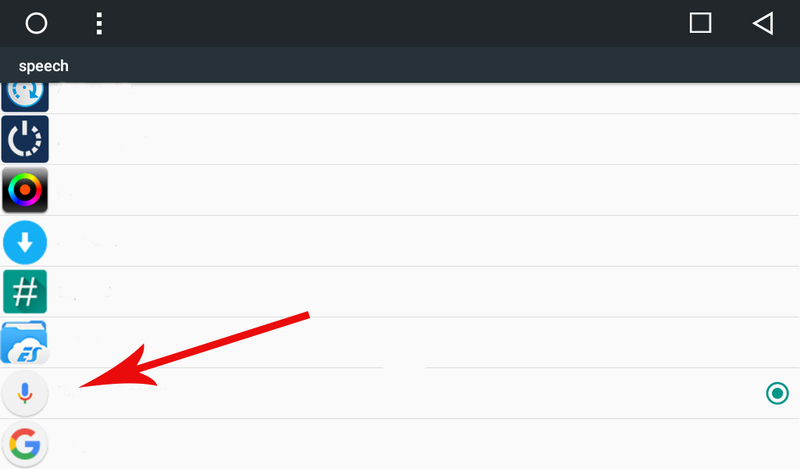 If the search query is recognized, you will see the confirmation window with a name of your contact. Just confirm your action to make a call. press on the menu icon next to the Phone icon. You will see two available applications. You need to set the “Bluetooth” as the default application for making calls. Then press Call icon at the bottom of the screen, it will perform calling to your contact, the Bluetooth application window will open. 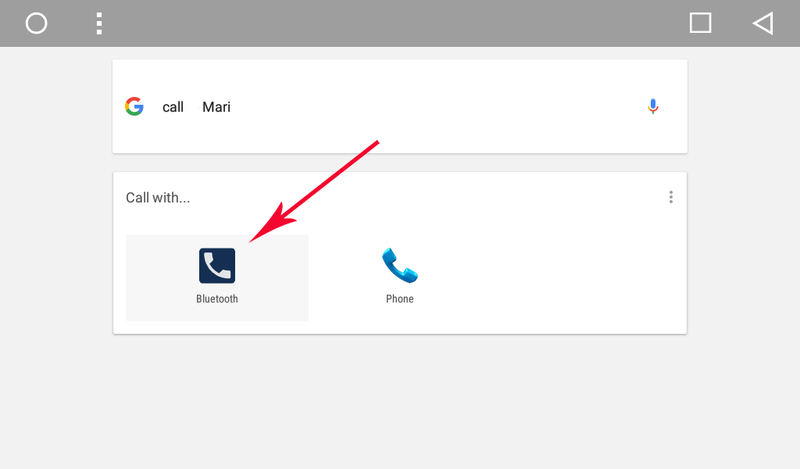 Now your Google Search application will use Bluetooth application by default for making calls and you wouldn’t select it again. Next time just say the command to call and the name of the contact and you will able to call without any troubles. - You can make a call with help of steering wheel button or button on the front panel of your SMARTY Trend head unit. Go to the Settings -> Car settings -> Steering wheel. Tap on “START”, then press “SPEECH” and press the relative button on your steering wheel and press “END”. 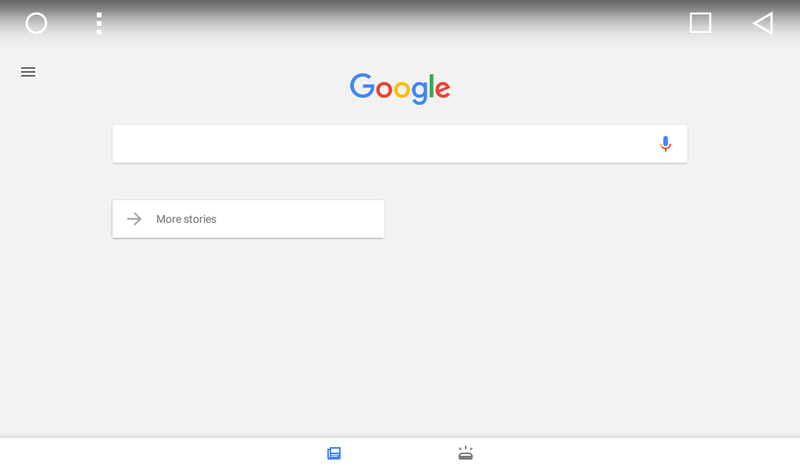 Now you set your Voice steering wheel button to open Google Voice application. Press the Voice button on your steering wheel, you will see the list of an available application installed on your head unit, select “Voice Search” application and go to your home screen. 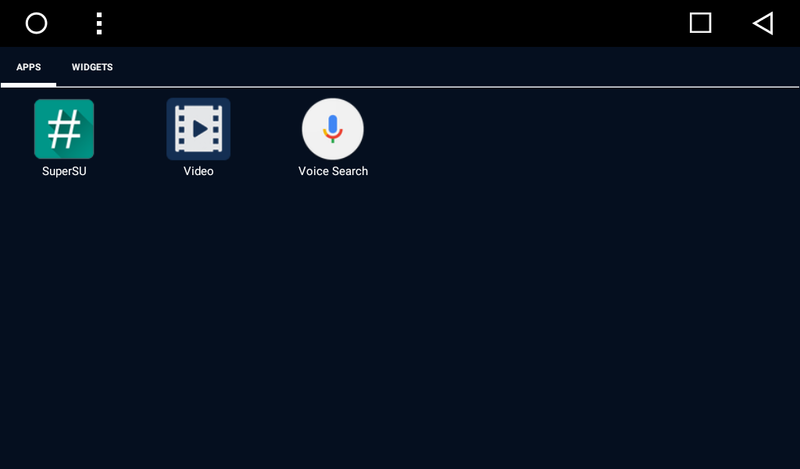 Then press the Voice button on the steering wheel again, you will see the Google Voice Search window, now you can say any commands, including “Call Mother” :). Now you can easily and safely make calls with help of steering wheel button when you drive the car! If your steering wheel doesn’t have Voice button and all commands are important for you and do not want to lose them, you can easily set additional command to existing button command. 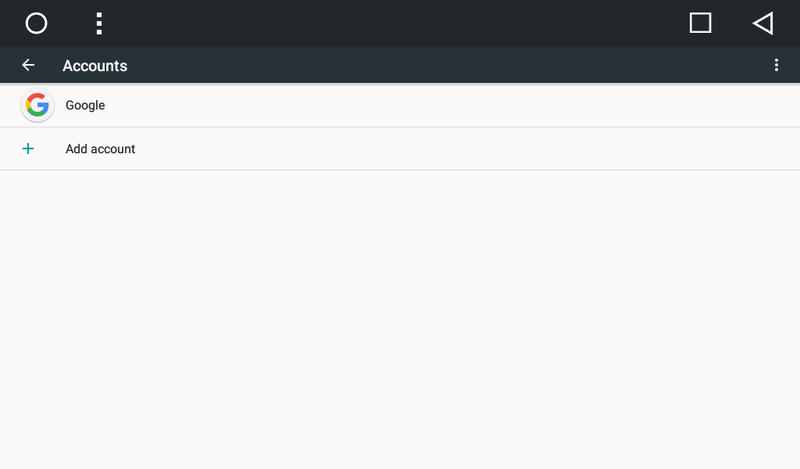 When you try to learn the button, just long press on the existing (learned) command and you will see options for “long press”, “repeat” and “super long press” actions. Select needed action and learn you button for several commands (short, repeat, long and super long press). 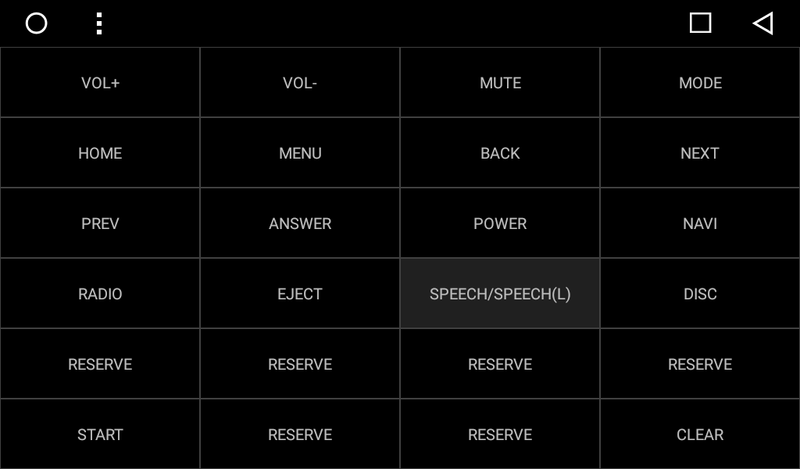 Then you will able to see available commands, select SPEECH for selected action. Mention: some cars recognize the steering wheel buttons through the CAN-BUS line - in this case learning steering wheel buttons are not possible. We suggest using physical buttons on the front panel of your head unit. The settings are the same as for steering wheels buttons. To set up button for voice search go to the Settings -> Car settings -> Extra settings (password 123456) -> Panel keys. If your head unit doesn’t have physical buttons, you can do the same for touchscreen buttons. To set up the voice search go to the Settings -> Car settings -> Extra settings (password 123456) -> Touch area keys. 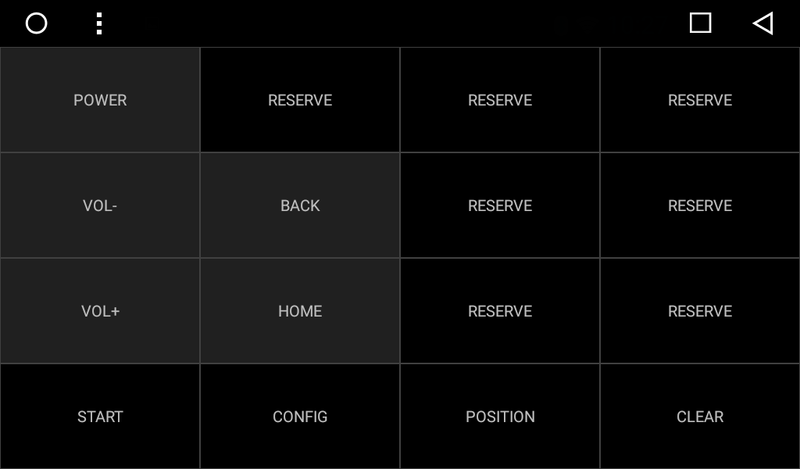 Additional commands (short, repeat, long and super long press) are not available for touchscreen buttons and you could only to replace the commands of your touch button. From that moment all our users will have more freedom for using applications which required root permissions. 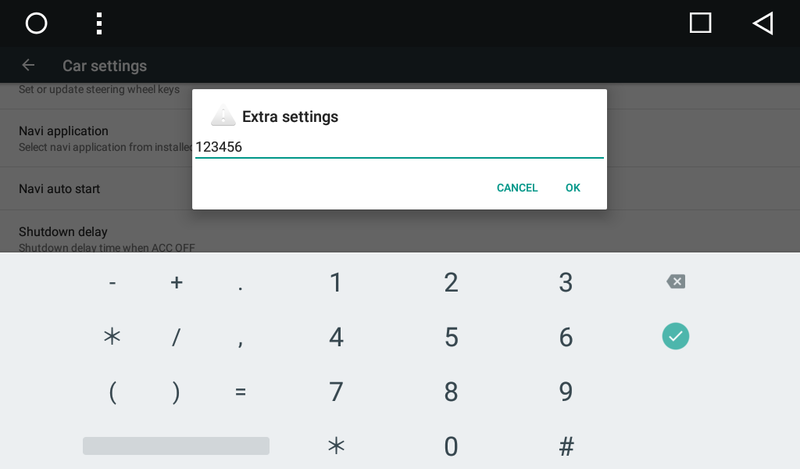 SuperSU application is included in the firmware to control root permissions. 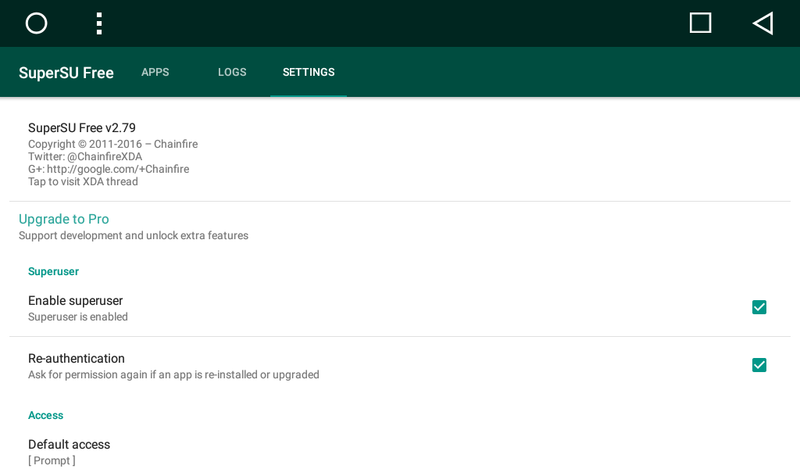 The updated firmware has pre-installed application “Autostart”. 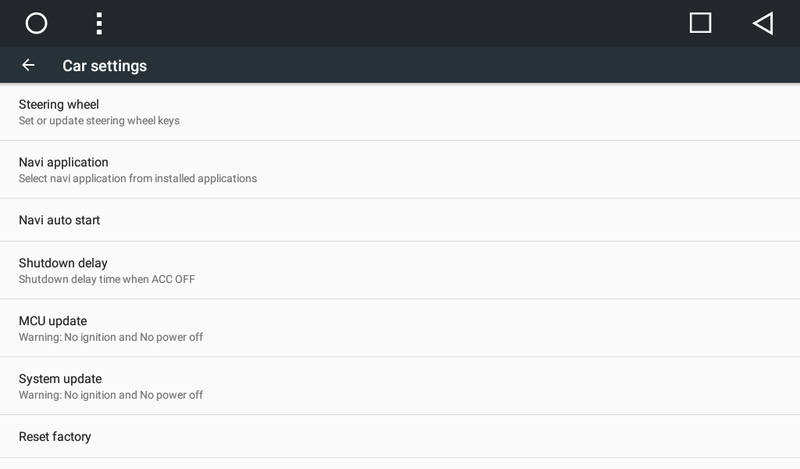 You can add any application to be started while Android OS is booting. The “Autostart apps” option must be set to on. If you need to see the home screen after starting your apps, you can set “Go to home screen” option to on. 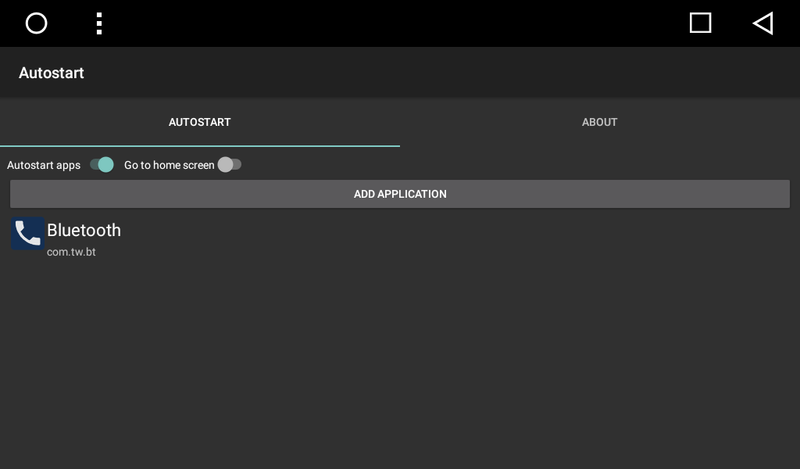 In the "about" section, you can test starting your apps. 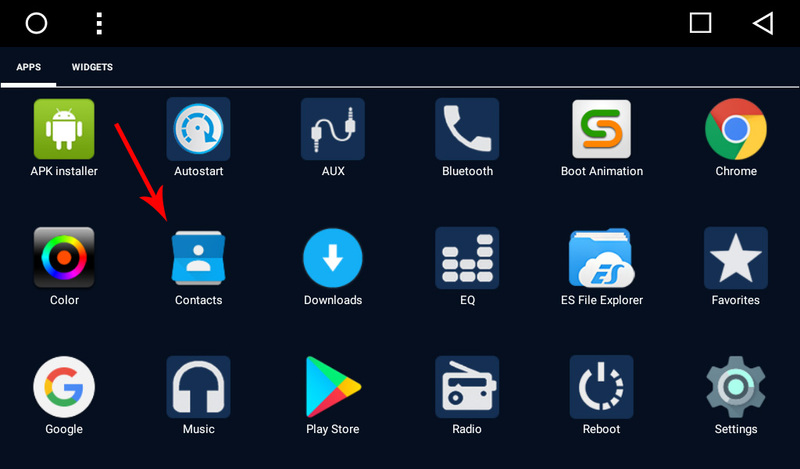 We added this function for those users who want to open some important car settings application, or simply their favorite one, on starting the OS. You could add the application that shows important diagnostic information while your engine is starting. 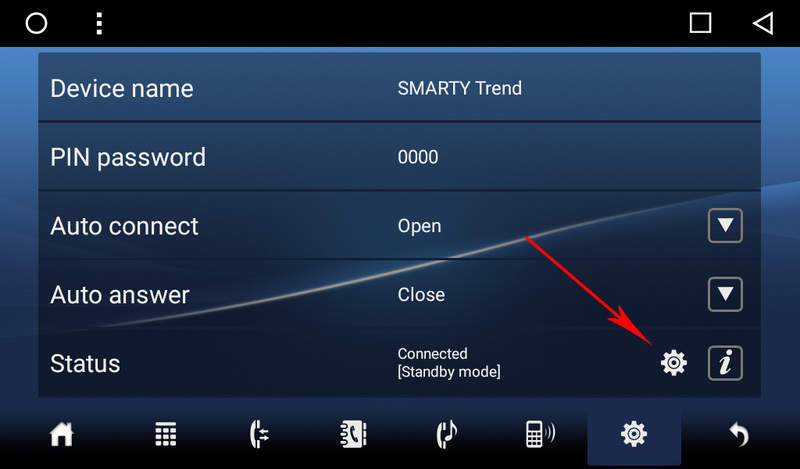 Now, it is possible to automatically open this application and continue to use other function of SMARTY Trend head unit. The firmware includes Reboot application. 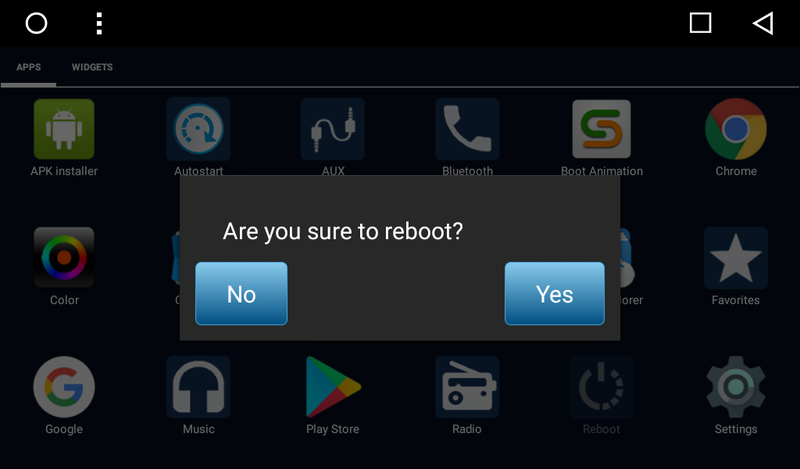 Now you can easily reboot the device without using ignition key. 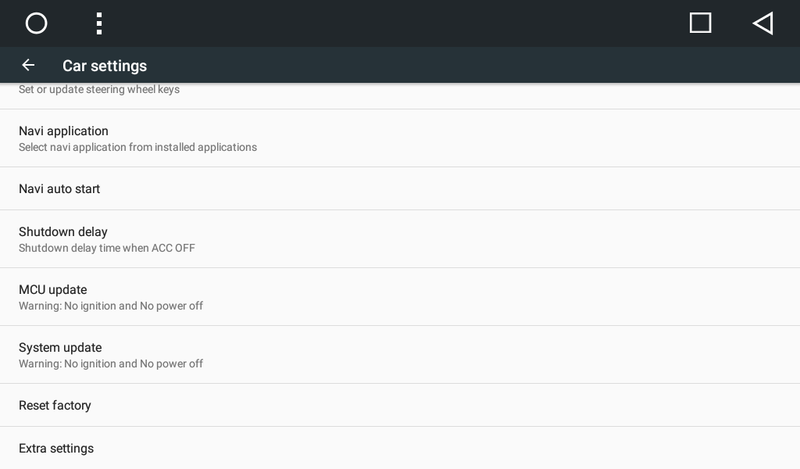 More stable Bluetooth and the Wi-Fi connection and other little bugs fixes.